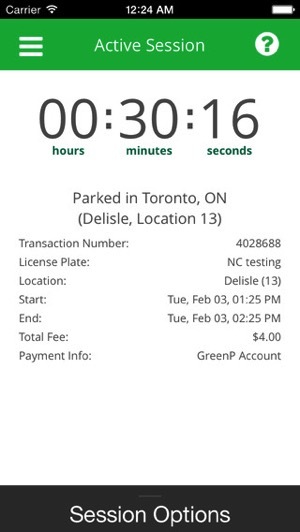 The City of Toronto launched yesterday the Green P parking app for iPhone and iPad users, to allow for locating and paying for parking spots in the city. Drivers can use Green P via the iOS (and Android) apps, their mobile browser or regular cell phones. To setup the app on your iOS device, all you need to do is enter your mobile number, receive and enter your verification code and create a PIN as part of the setup. Once that’s done, you enter in the location ID of your parking spot or lot, then pay with your credit card. Users get notification reminders when parking is set to expire and can also extend their time right from the app. 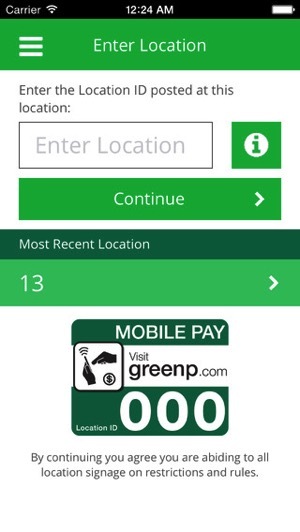 All you have to do is look for the Green P Mobile Pay sign at your parking destination and it will work with this app. The technology behind this app looks to be from North Carolina-based PassportParking, which offers turn-key mobile parking solutions for cities, such as the similar app it helped launch for Victoria last December. The Victoria app charges a credit card fee, but if you pre-load credit no fee is involved. Click here to download GreenP for iOS in the App Store. Let us know how it works for you!